The emergence of patient-reported outcomes (PROs) has given patients a stronger voice – but are the main chapters of this evolutionary story still to be written? The fundamentals for giving patients the place they deserve in healthcare decisions at both the micro and macro levels have been established over recent decades. The legitimacy of patient opinion in clinical decision making is no longer up for debate. Neither serious scientists, nor experienced clinicians are in doubt that subjective opinions can now be documented in a reliable and valid enough manner to inform decisions. The story started with Quality of Life (QoL), and continued with the current PROs chapter. We strongly believe the main chapters of this story are still to be written – what we have seen is likely to be merely an introduction to bigger changes in healthcare systems, in which the empowered patient will be key. A well identified milestone of the change in thinking is the development of key guidelines by the two major regulatory agencies, FDA and EMA, on PROs and Health-Related Quality of Life (HRQOL). Since the draft versions of these guidelines were issued, about one in three new clinical research projects mentions a PRO endpoint, and between one in five and one in four drugs approved include labelling claims based on PRO endpoints. Furthermore, PROs can play a key role in market access strategies, by contributing to the value story and highlighting compelling patient insight. Where treatment effect can be assessed by the patient, PROs may be used as primary or co-primary efficacy endpoints in pivotal clinical trials (e.g. COPD, erectile dysfunction, pain, migraine, nausea or palliative care in cancer). The use of PROs as secondary endpoints may help support primary measures or provide a unique patient perspective on treatment effect. PROs can also play an important role in product differentiation, especially when a non-inferiority trial shows improved patient experience or evidence of satisfaction that reinforces clinical benefit but may not be accepted for claims – ease of use for example. Today, the central role of the patient in all areas of healthcare is increasingly recognized, and pharmaceutical companies are starting to consider the patient as a pivotal component of their strategy. However, the huge potential of PROs remains undiscovered as clinical development only partially addresses the questions a new product will face after Marketing Authorisation: “Why should I pay for it?” (Payor), “why should I prescribe this particular one?” (Prescriber), “why should I take it?” (Patient), are questions that are not definitively addressed with regulatory approval alone. Without a doubt, more can be done in value demonstration terms to show patient benefit, translate clinical research results into tangible outcomes that are meaningful in clinical practice, and negotiate effective reimbursement. A focus on PROs also ensures appropriate product innovation that correlates with, and addresses patients’ priorities. Through the use of well-designed PROs patient insights and perspectives can be captured, and communicated to multiple decision makers. PROs have the potential to contribute more broadly to a three stage healthcare innovation approach – 1) Developing an evidence-based promise during clinical development, 2) Translating the evidence into value, and 3) Providing confirmation in the field that the innovation holds its promise when routinely used in the targeted population of patients. Not surprisingly, the first stage often focuses on regulatory needs and labeling claims. Interestingly, the incidence of new PRO claims is significant but not yet as high as it could be – especially if we consider the proportion of clinical research guidelines which actually recommend the use of PROs. •	“Efficacy endpoints can involve combinations of objective measurements, evaluations by health care professionals, and patient-reported symptoms. (FDA Guidance for Industry Influenza: Developing Drugs for Treatment and/or Prophylaxis on April 12, 2011*). •	PRO measures of tumor-related symptoms and functioning can represent direct measures of treatment benefit (FDA Guidance for Industry – Clinical Trial Endpoints for the Approval of Non-Small Cell Lung Cancer Drugs and Biologics on June 16, 2011 – Draft Guidance). •	“Treatment of neuromuscular diseases should alleviate symptoms, delay or stabilize disability progression (disease modifying effect) and improve QoL as well as long-term survival of the patients.“ (EMA concept paper on the need for a guideline on the treatment of Duchenne and Becker muscular dystrophy – Released for consultation on June 23, 2011*). •	“the core element of making a diagnosis of PMDD is the daily, prospective self-report of symptoms” … Secondary outcome measures include change from baseline in components of the PMDD criteria, which include physical, affective and functional symptoms. (EMA Guideline on the treatment of premenstrual dysphoric disorder (PMDD) on July 21, 2011 – Adopted Guidance*). In addition, the FDA recently signaled that even if not used for labeling claims, a well-conducted assessment of the patient perspective can contribute to a positive decision: “Sponsors using PFS should design clinical trials with QoL assessments to confirm the clinical benefit”. The recent debate around bevacizumab indication in metastatic breast cancer shows the increasing need for PRO data to inform the risk / benefit balance: CDER stated that if an improvement in HRQoL had been shown, such evidence would have been enough to confirm bevacizumab’s clinical benefit in metastatic breast cancer. The second stage (translating evidence into value) is probably the most under developed area to date. 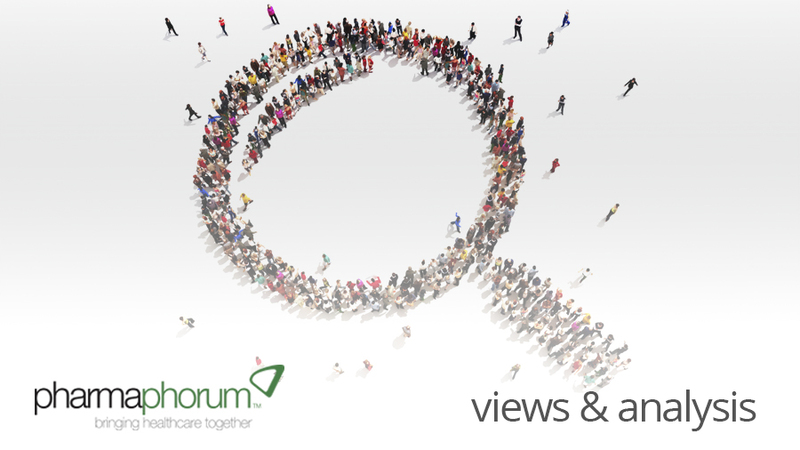 Whilst there may be a view that PROs are of limited use for reimbursement, because payors consider only economic arguments, we do not necessarily share this perspective. Most consider an improvement in patients’ lives quite compelling if adequately investigated, and effectively communicated. Although negotiation is clearly a discussion essentially based on economics, the perception of true value plays an essential role in the outcome. An innovation that is expected to address patient’s needs will always be in a stronger position than an innovation with no obvious benefit to patients – though a scientifically sound demonstration of these arguments, based on well-developed PROs, is essential. •	To illustrate a specific benefit of a drug from the patient’s perspective (key to show meaningfulness of symptomatic or functional impact). •	To show the advantage of non-clinical characteristics (administration route, regimen, packaging &amp, storage, etc) in terms of satisfaction and adherence. •	To reflect the benefits of a drug on HRQoL, a criteria which is increasingly important for decision-makers in addition to morbidity and mortality. •	As part of the central decision-making tool for some health authorities (QALYs). For example, the French Commission de la Transparence considers QoL as important when assessing actual benefit and improvement in actual benefit. Moreover, the French system recognises the importance of ease of use, as a valid criterion: «An improvement in the ease of use, likely to lead to better patient management that contributes to a clinical benefit, is considered in the determination of the ASMR». For Germany’s IQWIG, QoL is one of the criteria used to determine the benefits and costs of a drug. IQWIG explicitly mentions QoL, Patient Satisfaction, and PROs in their documentation. “Although the study indicated that eribulin could potentially help patients live for a little longer, it also caused more negative side effects than the other treatments and the effects on health-related quality of life had not been adequately assessed.” In Scotland, the SMC acknowledge special circumstances that should be taken into account after the clinical and economic evaluation of the drug is completed, such as a drug’s ability to improve life expectancy or QoL, or the lack of any other therapeutic options. Beyond the use of PROs to understand the value of a product, payors are increasingly interested in the contribution of PROs to good quality of care and to monitor the use of recently marketed products in real life: tools to select eligible patients, tools to check actual outcomes, perceived benefits and harms, and tools to assess or predict adherence and persistence. At the end of the day, market success is driven by a positive user experience and PROs can contribute to this. And so to the third of our innovation steps. Beyond evidence, after negotiation, market success is largely driven by prescribers and patients. The important question here is whether the innovation lives up to the promise – and there is only one chance to make a good initial impression. Ensuring a positive patient experience, which is shared with medical practitioners, is essential for a product’s success. Tools to help assess such experience need to be carefully developed, again using in depth knowledge of PROs. The example of the Paediatric Asthma Control Test shows how a good PRO tool addressing a critical clinical question can contribute to success in terms of uptake. In this example of asthma control, although the product was accepted in paediatrics, uptake was low and adherence quite poor. An online survey was developed to be completed and used during doctor visits to help with treatment decision making. The online test became part of the National Clinical Guidelines for Asthma management in the US as a way of monitoring asthma control in paediatrics. Meanwhile, the product became number one for use in this indication in the USA. Benoit Arnould is the Managing Director of Mapi Values France. Mapi Values is a Healthcare Value and Market Access consultancy business, with a strong heritage in qualitative research and Patient-Reported Outcomes. With offices in the USA, UK, France, Netherlands and Japan, their passionate people investigate and develop scientific evidence to understand the benefit of healthcare products and services to patients, clarifying and communicating the value to decision-makers. Is it time to unearth the potential of PROs?